West snowboarding crew shredding the Laax snowpark on a slushy april afternoon. With the hot local Leandro Eigensatz, the old lions Christian Weber & Fred Couderc and the brand new recruit Boris Mouton. Edited by Jules Guarneri. Homies III,Snowworld's third movie directed by Nicolas Droz featuring: Wojtek Pawlusiak,Fred Couderc,Aymeric Tonin,Benedikt Nadig,Chris Weber,Pierre Rué,Cedric Giovanola,David Livet,Niels Shack,Kuba Ditkowski,Tonton Holland,Corey Noble,Margot Rozies and Nicolas Droz. Distributed fall 2010 in Playboard,Snowsurf,Whitelines and Sufer Rule Snowboard. Pierre Rué VS Fred Couderc on the big rail at Mamat’s Mini Shred... If you fail your trick, you drink ! After 3 days of winter conditions,its finaly sunny!Everybody is stoked to go shred the Kingvale park!The crew is:Fred Couderc, Nico Droz, Benedikt Nadig, Margot Rozies, Morgan Lefaucheur, Cedric Giovanola, David Livet, Christian Weber, Pierre Rué and Corey Noble. Share Fred Couderc’s first backcountry day in our resort. In company of his filming crew, Almo (Salomon France Team) you will see much of a good fella this guy is, always smiling always positive, never too serious. 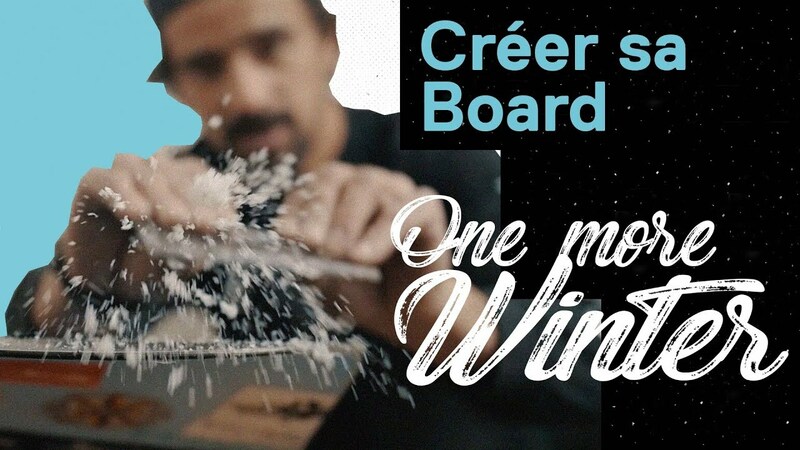 Deuxième épisode de One More Winter avec Fred Couderc ❄ Cette fois, on le retrouve aux Crosets pour nous montrer son taf de shaper. ENJOY !